Angioplasty and percutaneous transluminal coronary angioplasty are procedures in which your cardiologist places a stent to open dangerously narrowed or even completely clogged blood vessels. Stents, when placed in your heart or leg by an experienced cardiology specialist, are a safe and effective way to restore blood flow. 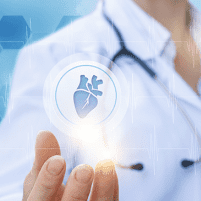 The expert cardiologists at Healing Hearts Clinic in Conroe, The Woodlands, and Huntsville, Texas, offer diagnosis, monitoring, surgery, and other treatments to help you manage your heart problems. Book an appointment using the online tool, or call the office today. What is a stent and how does it work? A stent is a tube that your cardiologist surgically inserts in either a peripheral or coronary artery. Stents are typically made of steel mesh but may be plastic. A stent forces the artery open to allow better blood flow. Stents are a common component of angioplasty surgery. Angioplasty surgery opens poorly functioning or closed-off blood vessels. A stent is usually placed via catheter during the angioplasty to keep the artery open. In a percutaneous transluminal coronary angioplasty (heart stent) or percutaneous transluminal angioplasty (leg stent), the stent has a balloon on the end. Once your cardiologist threads the stent into place in the artery, they gradually blow up the balloon to enlarge the artery and restore blood flow. Atherectomy is sometimes part of an angioplasty. However, in atherectomy, the catheter features a rotating bladed device at the end. This shaver slices away plaque buildup but doesn't damage your artery. An atherectomy may be a good choice in cases where stents aren't effective. How do I prepare for heart or leg stent surgery? Your Healing Hearts Clinic cardiologist will give you preparation instructions before your heart or leg stent surgery. Generally, you'll need to stop eating and drinking before the procedure, and you may have to alter your medication routine before the surgery. What should I do after stent surgery? Your cardiologist takes the catheter out of your artery at the end of the stent surgery. They'll then bandage your catheter insertion site. You'll have limited movement immediately after surgery, but you can usually go home 12-24 hours after your cardiologist removes the catheter. You may have bruising and a tiny bump at the insertion site, and it's normal to feel a bit tender in that area. You'll probably take medication to discourage blood clotting after stent surgery, so be sure to take that and all prescribed medications exactly as your cardiologist directs. If you're bleeding profusely at the insertion site or if you have any new symptoms like severe pain, get in touch with your cardiologist at Healing Hearts Clinic right away. To learn more about stents, book your appointment with Healing Hearts Clinic online or by phone now.